January is the start of a New Year and a new semester. Which means, you have the unique advantage of a fresh start in more than one way! How cool is that? 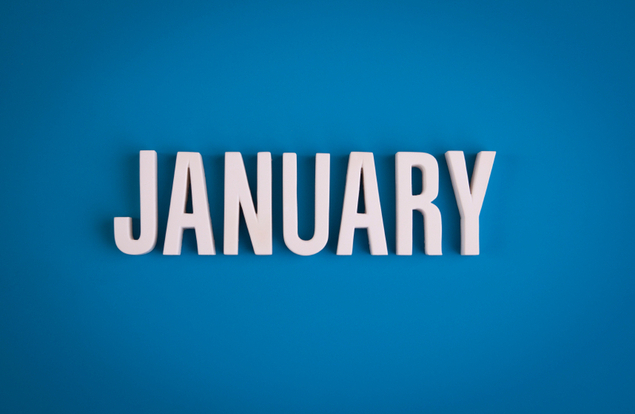 January is the start of a New Year and a new semester. Which means, you have the unique advantage of a fresh start in more than one way! How cool is that? Make sure you utilize this clean slate because it's not often that we're given such chances in life. Here's a checklist to follow with suggestions of ways you can start off January on a great note. The FAFSA, the Free Application for Federal Student Aid, became available on October 1, 2016 of last year. It’s important to fill it out as soon as it becomes available because it not only determines whether or not you qualify for federal aid but also for certain types of state financial aid. The sooner you fill out your FAFSA, the better. Learn more about filling out the FAFSA and, remember, it’s always free to fill out – so if you’re being charged to fill out the form, it’s not legitimate. The only correct FAFSA website to access the FAFSA is fafsa.ed.gov. Whether you feel prepared or not, over preparing is never a problem. Check out Fastweb’s test prep section for additional tips and tricks that may give you an added advantage on your test day. You won’t physically be sending these – but you should ask your counselor or guidance office to do so. Then, at the end of your second semester, you will ask your counselor or guidance office to send your second semester transcripts as well. It’s always a good idea to check in after a week or so to ensure that they’ve been sent, just because the office will have a lot of student requests. You want to make sure your request doesn’t fall through the cracks! Keep in mind that, no matter how your first semester went, second semester is a fresh start. Colleges love to see continual improvement and, if your grades pick up second semester, your chances of getting of a wait list or deferral list are that much better. In case you haven’t heard, there’s an epidemic going around that affects seniors called senioritis. It causes a lack of motivation, general laziness and lethargy. Whatever you do, don’t allow yourself to become a victim of senioritis – it will impact your chances of getting into the college of your dreams! As always, continue to apply for any scholarships you qualify for in your down time. Submitting scholarship applications doesn’t take as long as you may think and has a huge pay off! This should be a constant on your to do list – just make sure you actually submit your scholarship applications. College is right around the corner and you can use all of the financial assistance available. Remember, the more applications you submit, the better your chances of winning a scholarship. Getting a part-time job is a great way to gain job experience for your resume and help stretch your student budget. Check out Fastweb part-time jobs to find job matches near you.